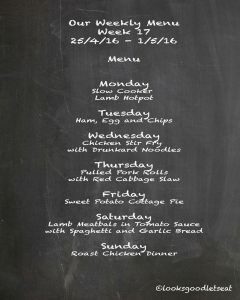 Welcome to this weeks family menu. I hope you all have had a good week. 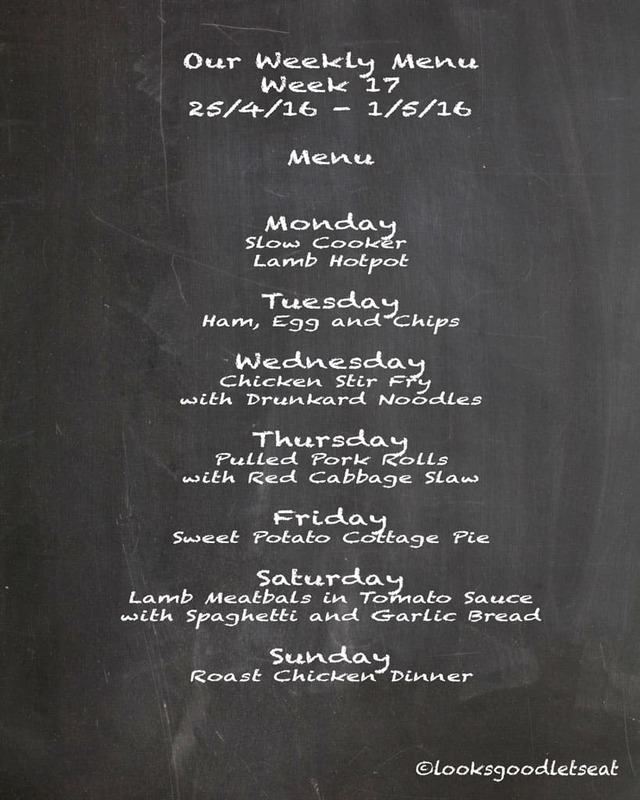 So this week brought a little variety, some nice heart warming meals such as slow cooker lamb hotpot and sweet potato cottage pie to the ‘let’s enjoy the sun while we have it’ pulled pork rolls with red cabbage slaw. I do hope you can find some ideas here and please have a look around the site and at some other recipes here.